I love doing these small paintings! 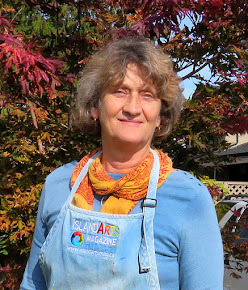 I'll often work on a smaller painting while I am at TOSH (The Old School House) for the day as a resident artist. It's easy to transport, you need only a few colour and it's fun to move the paint around. 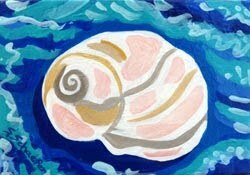 This is the fourth in the series of small sea shell paintings. They are all 5 x 7", acrylic on stretched canvas. They look great hanging in a powder room as a grouping. Not sure how many more I'll create ... but am sure that I am not done yet!